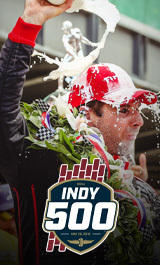 Racing and rock and roll are partners in the perfect party during the Miller Lite Carb Day on Friday, May 24 at IMS! Nothing turbo-charges the start of the greatest weekend in racing like the final practice for the 103rd Indianapolis 500 presented by Gainbridge, the Freedom 100, the Indy 500 Pit Stop Competition and the Miller Lite Carb Day Concert featuring one of the most legendary rock bands of all time, Foreigner, all for one great price. Get your tickets now! Gate Admission for Miller Lite Carb Day. This ticket provides concert access. **Kids 15 and under are admitted free with an adult ticketholder. ***This ticket includes General Admission concert access.